Every year, hundreds of African elephants and rhinoceros are poached and killed for their tusks in the illegal multi-million dollar trade, with most shipped to Asian and Western countries, which endangers African elephants. 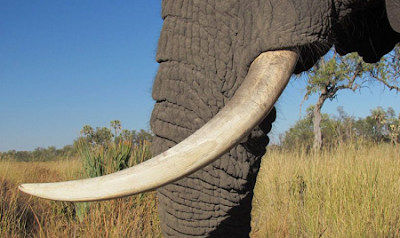 Last week, European and American conservation leaders called on governments worldwide to support African nations to put an end to the trade in elephant ivory. Yesterday, the Nigeria Customs Service confirmed the seizure of about 55 calibre of elephant tusks along the Nigeria-Cameroon boarder. Francis Adetoye, the Area Controller in charge of Adamawa and Taraba Commands, made the disclosure at a press briefing in Yola. Mr. Adetoye said that the success was recorded following a joint anti-smuggling and drugs patrol in collaboration with sister agencies in the state.